As you might have guessed given the focus of this column, I had never had a Meyer lemon. So when people started blogging excitedly about them or expressing joy in the supermarket at their return, I just wasn’t getting it. What was all the fuss? Could they really be that much different from a ‘regular’ lemon?? Let me say that I am a BIG FAN of lemons. 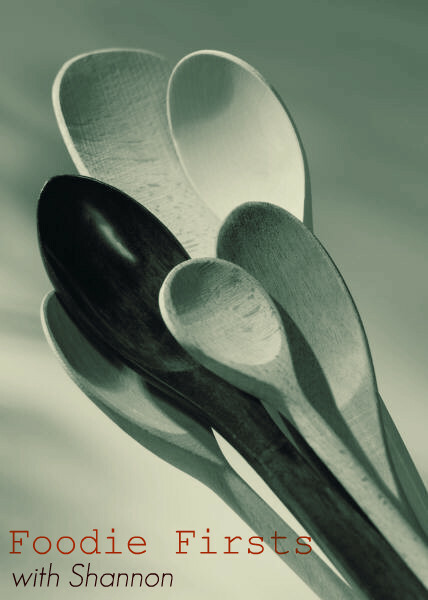 I happen to believe that they are one of the most endlessly useful items to have in a kitchen. Their zest and juice can transform baked goods to a whole other level of awesomeness, add zingy interest to soups, brighten up pasta in a flash, elevate salad from dull to exciting, and, heck, a slice in a glass of water (or, ahem, gin) can go a long way to increasing taste and experience. So, I had to ask, was a Meyer lemon going to be much different? And, if in fact it was that different, was that going to actually be a good thing? I think I can say that it WAS THAT different. 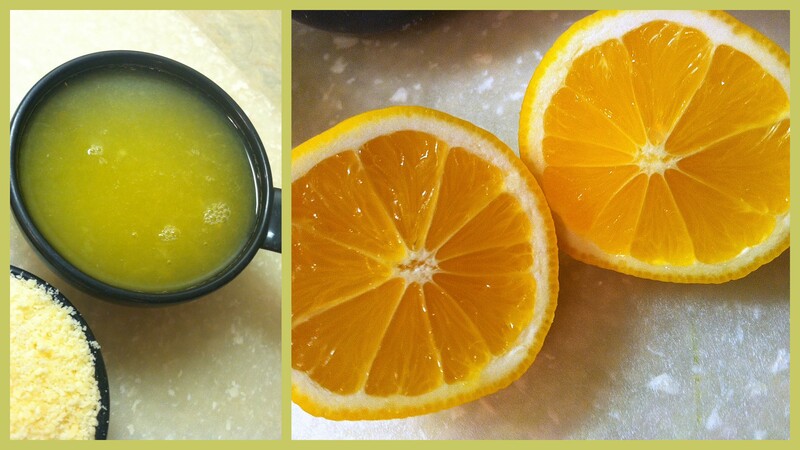 I decided to try Meyer lemons two ways – sweet and savory. Plus, I just sampled a bit of the juice itself. The difference, of course, starts right from the get-go with the visual aspect of the fruit. It’s lemon-shaped and lemon-sized, but the color is not the same. Less bright and catchy, the Meyer lemons I purchased had a flatter hue. When I placed them side by side on my counter with a standard lemon, there was no confusing which was which. Tasting the Meyer lemon juice on its own, it was clear that the taste is definitely a different experience from standard lemons. I could tell it wasn’t as sharp or acidic and I was curious to see how this would impact my food. I had 6 lemons and decided I would put 3 to work in a savory dish (pasta) and 3 would be used in a sweet dish (lemon bars). I’ll start with the bad (because the good was REALLY good). The lemon bars didn’t quite come out right. To be fair, I don’t think it was entirely the fault of the Meyer lemons themselves. The recipe I used just didn’t work quite right for some reason and I needed to have baked them longer, I think, as they didn’t set up quite right. So, there were some serious fundamental flaws. What I will say is that regardless of these issues, if you want a traditional lemon bar, with loads of wake-up-and-stimulate-your-senses sharp flavors, Meyer lemons aren’t going to do that for you. If you want a smoother, more subtle, and possibly more sweet lemon bar, than the Meyers just might work. Moving on to the good. I made pasta. 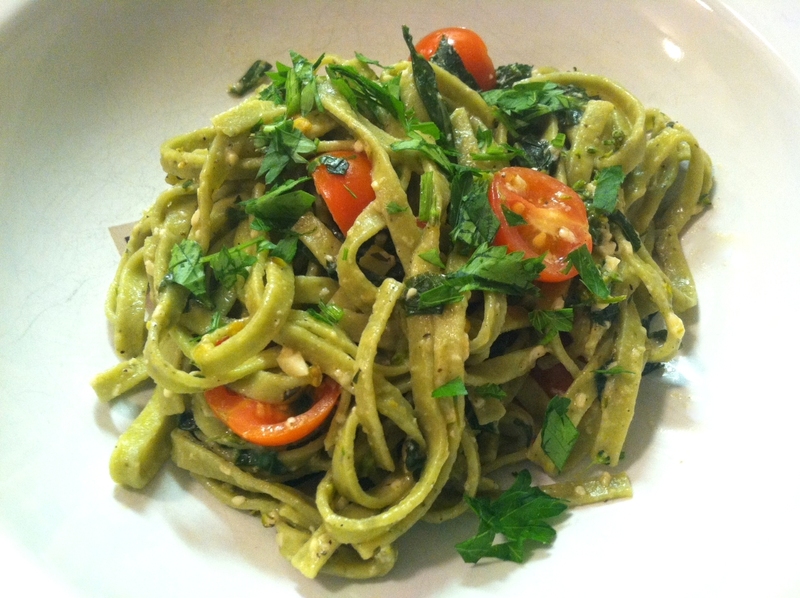 Meyer lemon linguini with cherry tomatoes and kale raab to be specific about it, and it was tremendously satisfying. Maybe I was just having a good night in the kitchen, but the Meyers really worked with this dish. That lack of bold lemon punch was a really good thing in this case, as the Meyer lemons actually added a rounder, more full-bodied flavor to the dish, rather than just a zap of acid and tartness. I would venture to say that they added a richness to this dish that a standard lemon just would not have done and it elevated the flavor to something a bit more complex. This dish made me excited about Meyer lemons the way I have seen others be. What about all of you? 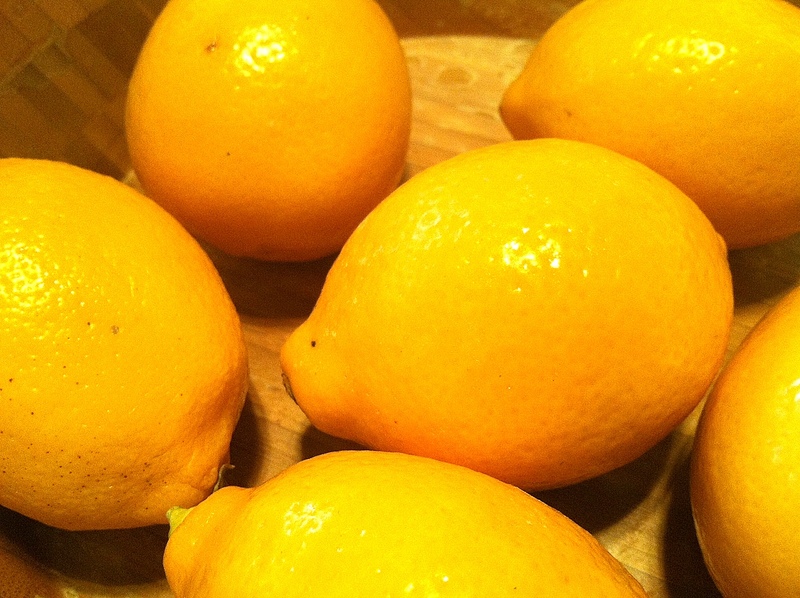 Are you a Meyer lemon convert? Do you get excited when their time rolls around each year? Lessons Learned: As I said, I really love lemons. I can’t say that Meyer lemons have won over my heart from their more common counterparts quite yet. I certainly don’t think they have the versatility of their lemon cousins. I was really excited about the pasta dish though and, in that context, totally understand how they could be used differently, uniquely, to make a dish their own. That gives me enough incentive to want to experiment with them further. Serving Suggestions: Well, the pasta below, of course. But also, I’ve seen a variety of recipes for Meyer lemon muffins and bread. I am pretty much always in favor of a good muffin or bread, so those seem like an excellent thing to try. Also, probably one of the most popular things to do is snag some while they’re in season and preserve them for later use. Lessons Learned: I was struck by how it really is quite possible for two items to be so closely related to one another and yet be so very unique in the outcomes they produce. It has caused me to give more consideration to the subtle differences between similar food items and how they will impact a dish. It is fun to notice how my own palate is becoming more discerning as I continue to try new things with an open mind and attention to subtle details! Warm sauté pan over medium heat. Add chopped kale raab, along with 3 tblspns water. Cover immediately and let steam in pan for 2-3 minutes. Remove steamed kale raab from pan and set aside. Return sauté pan to stovetop, over medium heat. Add oil. Once warmed add garlic and red pepper flakes. Cook, stirring frequently for 1-2 minutes, or until garlic begins to lightly brown. Add steamed kale raab, lemon juice, salt, pepper, and thyme to pan. Stir to combine all ingredients well and cook for 1-2 minutes. 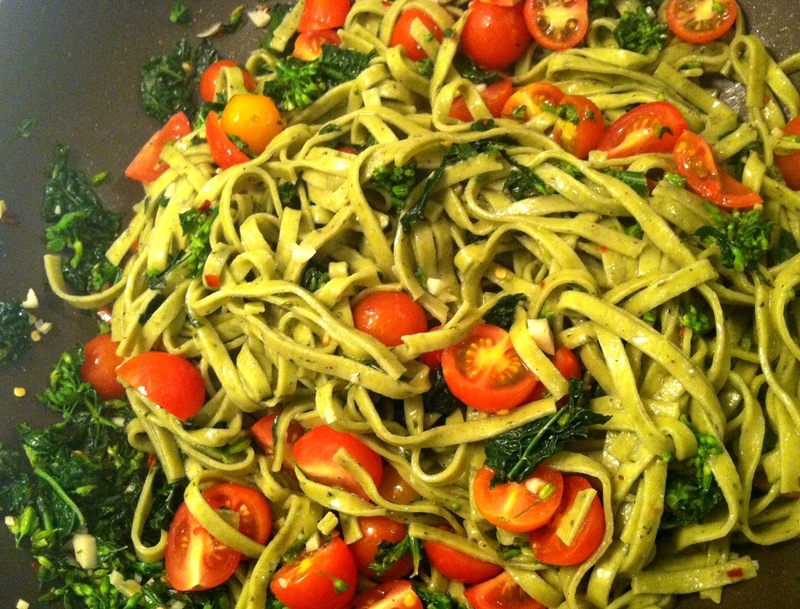 Add cooked noodles and cherry tomatoes to pan and toss all ingredients together. Cook 2-3 more minutes until all components are heated and combined. Remove from heat and add Parmesan, tossing to coat other ingredients. Serve with fresh Italian parsley garnish. Welcome to the inaugural entry in my new weekly series. I’m excited to continue to push my boundaries with food and cooking and share it all here. I commit to sharing each adventure, whether it is successful or, well, disastrous. It pleases me to no end, however, to say that this first post is one of success! I decided to start off this column big. I feel like I really went for it this week. I went into this little experiment totally prepared for it to fail. Not expecting it to, but prepared for the possibility. Let me give you some history. I owe a debt of gratitude to Mr. Move Eat Create for introducing me to cheesecake to begin with. I had never tried it until well into my twenties. Blasphemy, I know! Here I was, going through my life, thinking that cheesecake was absurd. Why on earth would anyone make a cake out of cheese?? What was this horrid concept??? Were people mad???? Mr. Move Eat Create was, because he was a fan. A big fan. So he had some; I tried it, and my world was never the same again. Now, you may think I’m being dramatic (and maybe I am), but it blew me away. I had never tasted anything like it. I wanted to devour it all the time. I tried to restrain myself, but cheesecake was always a wonderful treat. A rich, decadent reminder of how many things I had yet to taste in my life. These days, as you may know, I eat a mostly clean, healthy and plant-based diet, so cheesecake is a very rare item on my plate. 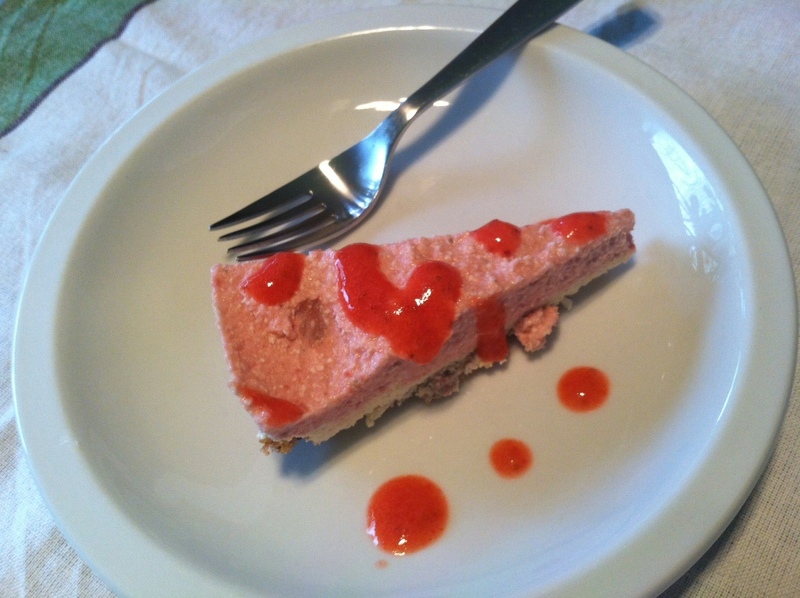 For a while, I’d been tossing around the idea of trying a vegan cheesecake. I’ve seen several versions featuring vegan cream cheese (which I’m sure are delicious and I WILL try sometime), but, I was feeling sort of . . . ballsy. 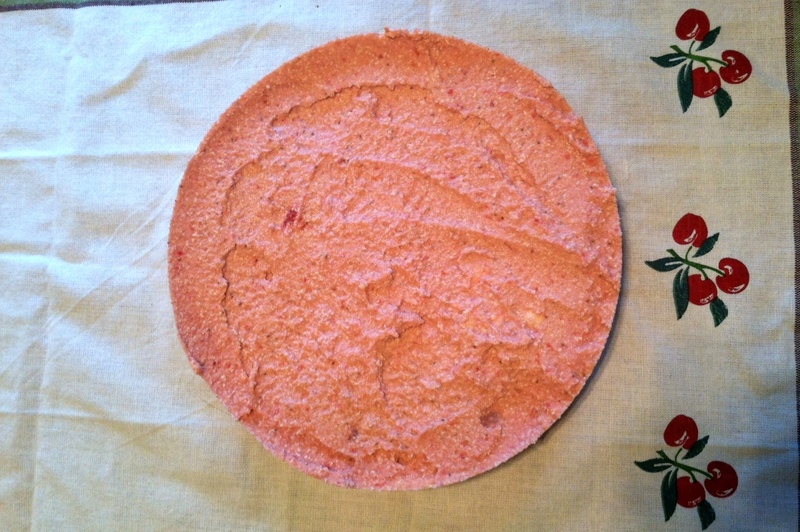 I decided to go all out when I came across this recipe for a raw strawberry cream cake at The Veggie Nook. 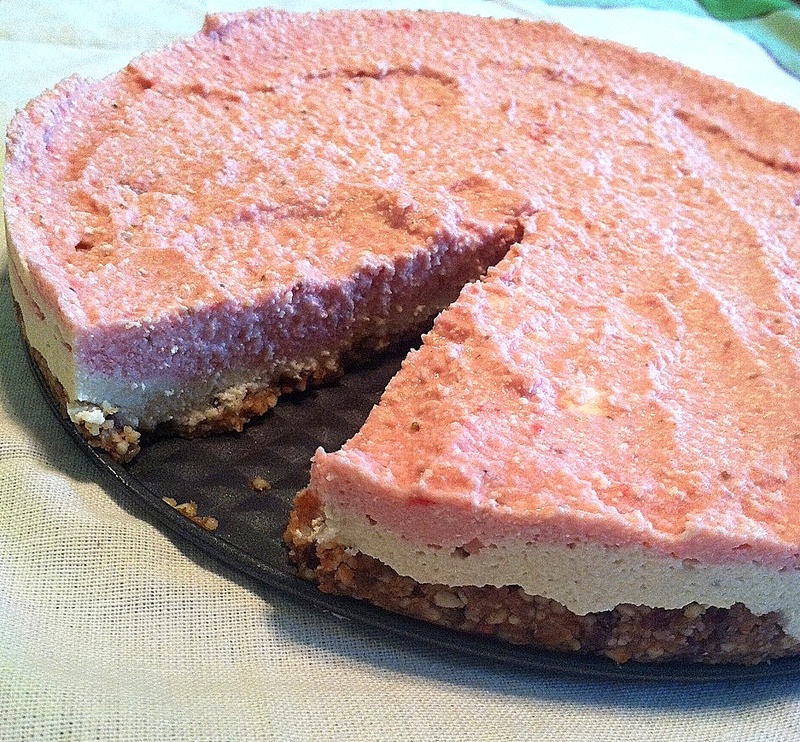 A soft, creamy cake that mimics the experience of a cheesecake, but totally vegan? I was in. No questions asked. So, as I stated, I was prepared for this to be a fail simply because I’ve never, ever eaten or made anything like it before. 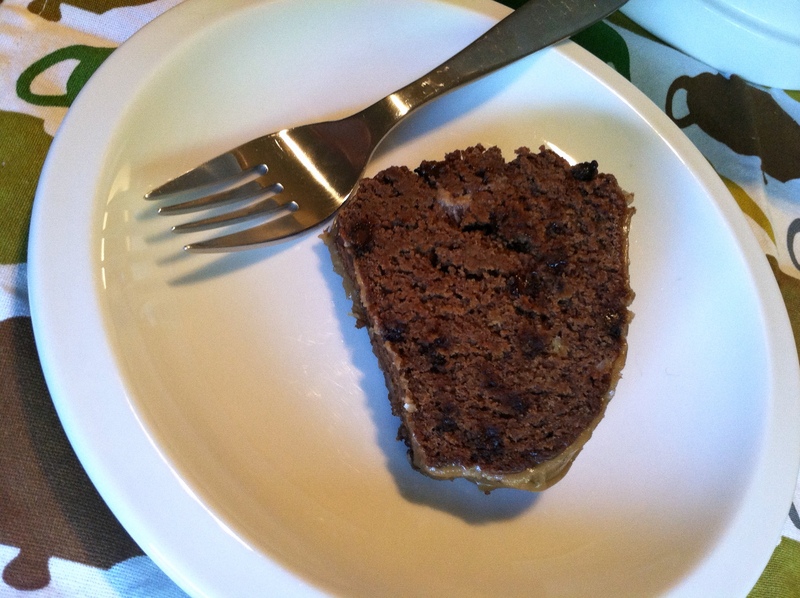 Plus, the crust (which is yummy) is made solely out of almonds, dates, and salt. The last time I tried to puree dates, I had a bit of a disastrous gooey mess that went quickly to the garbage can. The recipe indicated a strong food processor would be needed and ours is a fairly small, simple model. Would it do the job? And, would my cheesecake-loving boyfriend enjoy this for what it was or would I be eating it all by my lonesome? I officially declare this foodie first a success! While this is certainly not going to pass for a traditional cheesecake, it doesn’t need to. 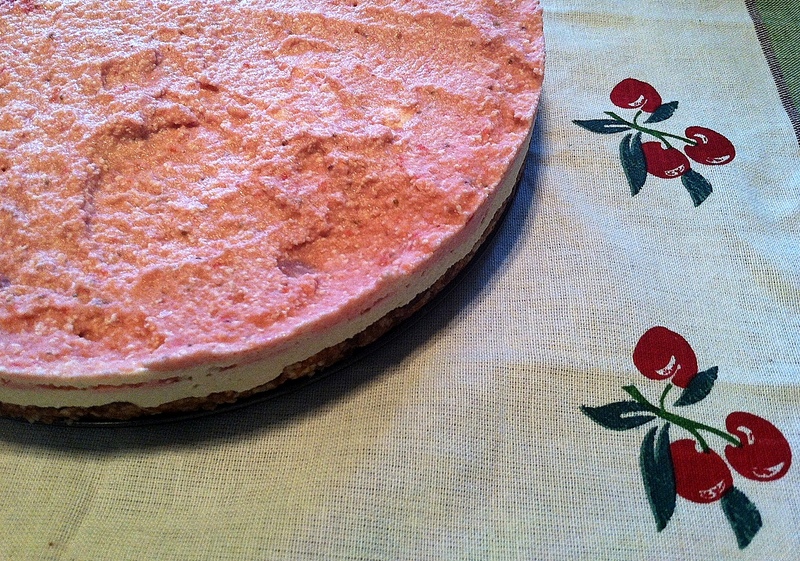 It is delicious in its own right and it does provide a similar experience to feasting on cheesecake. It’s soft, cool, and creamy. It strikes a chord between sour/tart (from the lemon juice – a very important element) and sweet (strawberries, dates, vanilla and agave) and the strawberry coulis drizzled on top is fresh and bright. The process of making this was a breeze, really. I had to puree in batches (so as to not overwhelm my food processor), but the steps were straightforward and unfussy. Plus, the possibilities with this are limitless. Chocolate drizzled on top would be amazing. I can imagine any berry subbing for the strawberries with success. Vanilla bean mixed in would be rich and luscious. 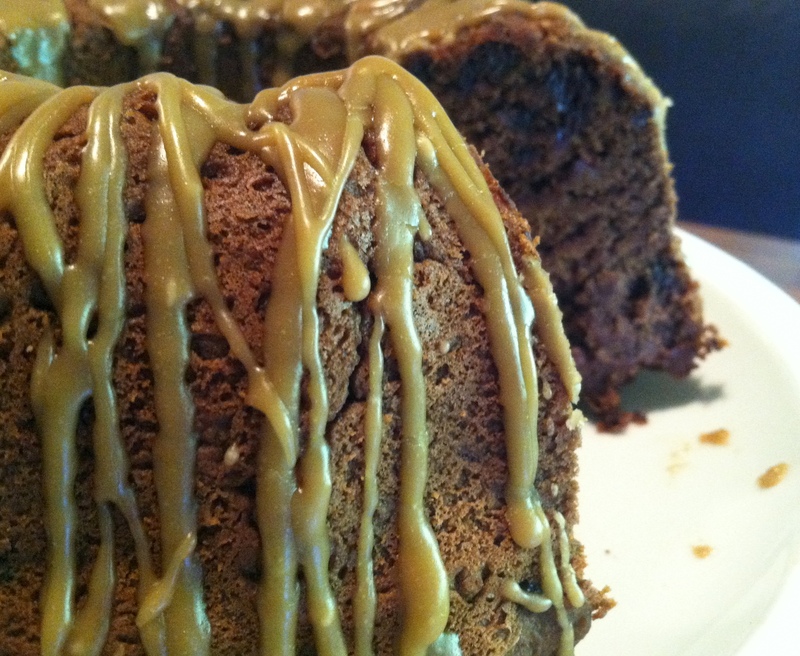 Skip the berry layer altogether and do a caramel cream with chopped nuts on top. Endless possibilities. Modifications: The only thing I did differently was to use agave and additional vanilla extract instead of stevia. I didn’t have any stevia on hand and decided to sub instead of purchasing some. I doubled the vanilla extract and added agave in 1 tablespoon at a time, tasting as I went. I found that about ¼ cup was the right amount for me. Lessons Learned: Simply because something doesn’t taste just like its inspiration, does not make it a lesser product. Do I still think traditional cheesecake is delicious? Of course I do. But this option is so good and so satisfying that it is more than just a substitute. Plus, the nutritional components mean a lot to me these days and knowing I can feel really good about the ingredients in this dessert is pretty fantastic. Plus, I am constantly amazed by the humble cashew. What can’t this little nut do? Cashews = food chameleons. Finally, making this taught me a bit about patience. I don’t have much of it and when I cook, I like to keep things moving, see results, work on the next component. The fact that my food processor is small made me have to work cautiously and in small batches. I was forced to slow down instead of tossing everything in at once. It actually was quite good for me to experience. To have it pay off in the end was highly rewarding. I am such a sucker for fall baked goods. Cinnamon. Vanilla. Warm spices. Apples. My stomach gets all rumbly just thinking about these flavors. I mean, seriously folks, throw some cinnamon-vanilla anything at me and I’ll be your friend. 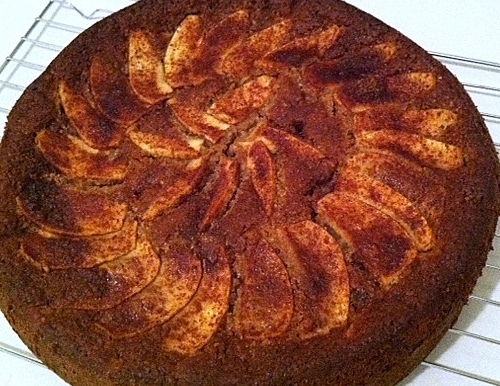 This cake definitely satisfies my fall-flavor lust. The spices are warm and comforting and the texture is dense, but soft and studded with bits of apples. You could certainly put a glaze or icing on this cake if you like, as the original inspiration recipe does, but I didn’t particularly feel like it needed it to suit my tastes. I ate it just as it with a lovely dusting of powdered sugar on top and thought it hit the right note. I do wish I had another slice left, because I suspect that a drizzle of honey or agave drizzled on individual portions would actually be quite delicious, too. I guess I’ll have to make another one to test that theory. Preheat your oven to 350 degrees. Coat bundt pan with cooking spray. In a large bowl, combine flour, baking soda and salt. Toss with a whisk or fork until well combined. In a medium bowl, combine melted coconut spread/oil (or Earth Balance or butter), applesauce, yogurt, egg replacer with water, sugars, vanilla extract and all spices. Whisk all these ingredients until smooth and well-combined. Stir in mashed bananas and follow by gently stirring in the diced apples. Create a well in the center of the dry mixture. Pour wet ingredient into the well and stir just until all ingredients are incorporated. 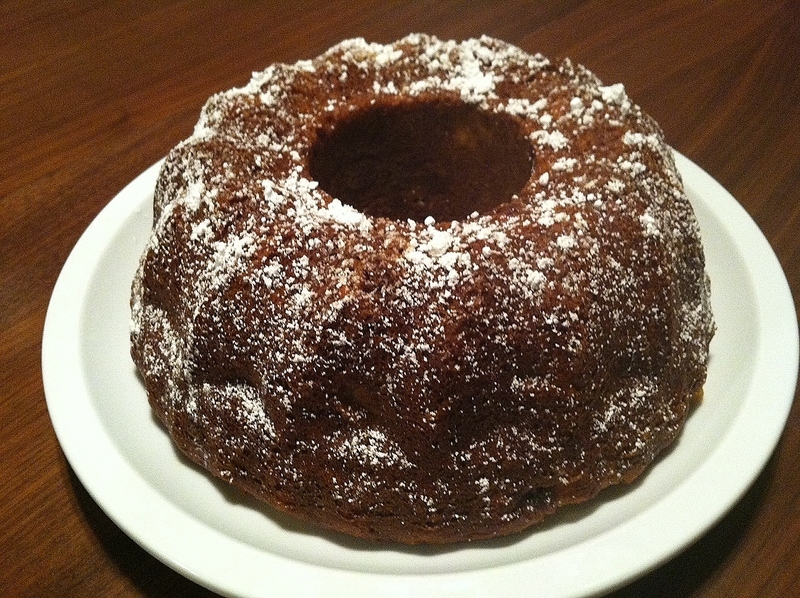 Pour batter into your prepared bundt pan. Bake for approximately 40-43 minutes, until golden and a toothpick inserted comes out clean. Allow to cool in pan for 5 minutes. Invert and remove cake to cool completely on a wire rack. Dust with powdered sugar (I used a vegan version) if you like. Earlier in the week, I mentioned a birthday cake. As the week has gone by I have been eager to come back to that topic. This birthday cake, you see, has been on my mind. It has lingered in my consciousness because it was (I think) a big success! I still get nervous about baking cakes, in a way I do not about baking other items. I don’t feel apprehensive about baking cookies, muffins, brownies, scones, or even cupcakes; but there is something special about creating a quality cake, particularly if that cake is to be presented and shared with someone as a celebratory gift. I had inquired with the birthday man in question about what kind of cake he would like and he expressed a desire for a banana-pineapple cake. I’m not sure why that seemed so intimidating to me – but it was. After doing some research, I discovered that banana-pineapple cakes were actually, like, a thing. They had a proper name and all. Hummingbird cake. It’s a lovely name, isn’t it? It sounds like a delicate and beautiful baked treat. 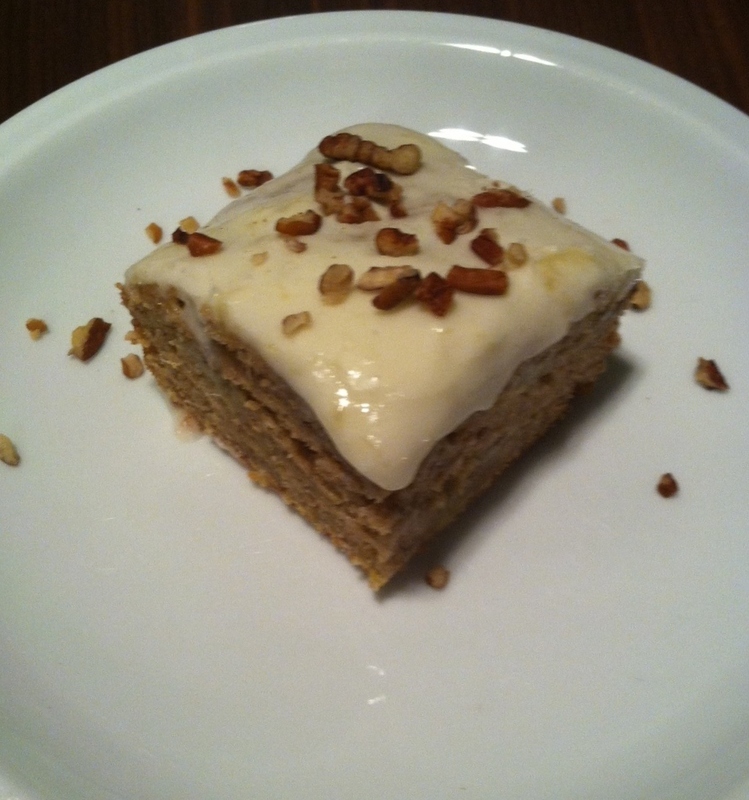 Finding several recipes for hummingbird cake, I settled upon one that looked like the best bet to me, made a couple of adaptations, and set to work. This cake was quite fitting for the season, too. It felt like a farewell to summer, served on the first day of fall. 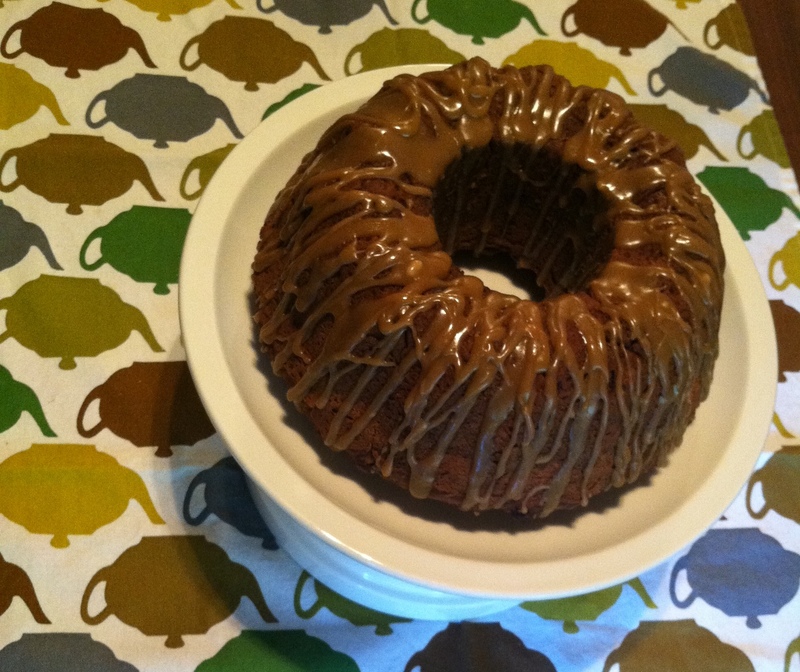 With the pineapple providing a last hurrah for warm weather days and the warmth of the banana and cinnamon welcoming autumn, it was a great cake for transitioning the seasons. The recipe for the pineapple cream cheese frosting which finished the cake is also included below. I hope you enjoy it all as much as we did! Preheat oven to 350 degrees. Coat the square or round cake pan of your choice with cooking spray. In a large bowl, whisk together the flours, baking soda, salt, sugar, and cinnamon. Set aside. In a medium bowl, combine the egg replacer and water mixture, applesauce, melted coconut oil, mashed bananas, vanilla extract, and crushed pineapple. Stir until all ingredients are combined. Create a well in the center of the dry ingredients and pour in the wet ingredients. Stir well with a spoon until the mixture is combined and all the flour is incorporated. 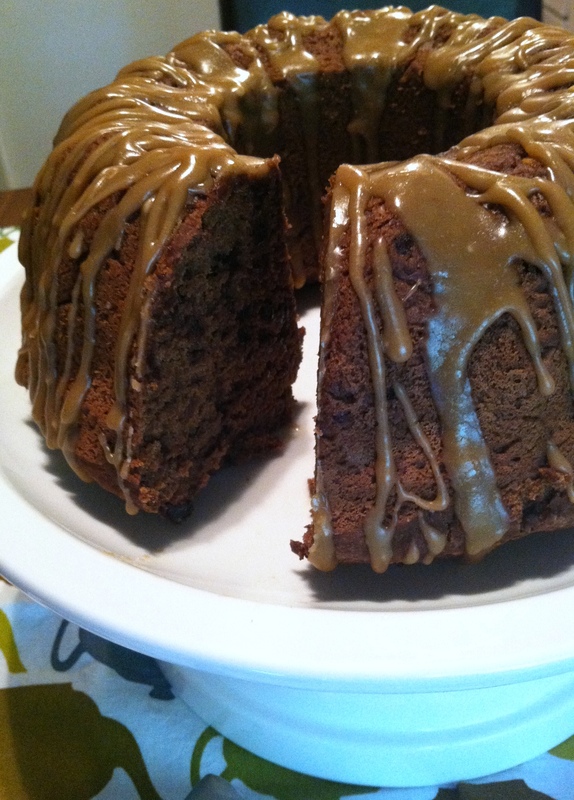 Let cool in pan for approximately 10 minutes, then remove from pan and allow cake to continue cooling on a wire rack. Once completely cooled, top with pineapple cream cheese frosting (or frosting of your choice). A smattering of chopped nuts on top of the frosting is purely optional, but makes a lovely presentation. Add the powdered sugar in batches, until you have reached your desired level of sweetness (I used about 2.5 cups), continuing to beat mixture after each batch is added. Add in pineapple, a tablespoon at a time, beating after each addition. Check for flavor and consistency. If you want a thicker frosting, you may need to add additional sugar, but for a thinner frosting (more similar to a glaze), add more of the pineapple liquid to the mixture. *** The frosting will continue to thicken up after it sits for a while. 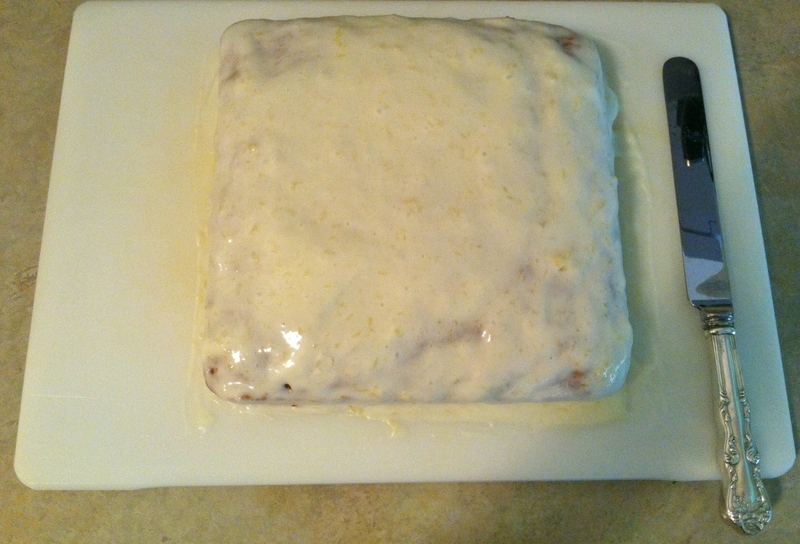 I made my batch a bit thinner than a traditional cream-cheese frosting, so that it almost seeped over the edge of the cake when I frosted it. I thought it was delicious this way and it did firm up further as the cake sat for a couple of hours.